Setting up your new Pressure Monitor is simple and quick. 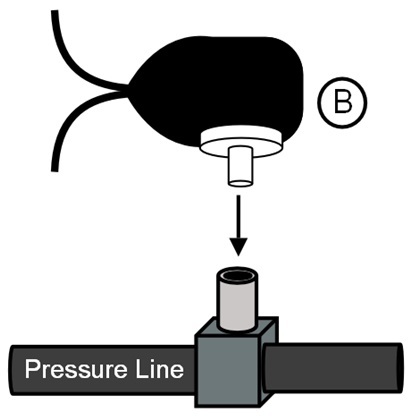 This post outlines the steps required to properly setup and monitor your pressure source. These instructions are also available to view and print as a pdf. As always, if you have any further questions or require more assistance, feel free to contact us. These are the components that go into the Pressure Monitor. Use it as a guide as you view the steps in the instructions below. Find a location for the pressure monitor near the pressure source and the 120V plug (C) can reach an outlet. Place the stack light (A) in a secure location that is visible. Use three screws (D) to fasten the stack light to a surface via the holes in the stack light base. *If using the stack light with magnets, place on a metal surface. The pressure switch (B) has a 1/8 NPT connection. When connecting to the pressure source please acquire the proper fittings. A variety of fittings are available on our website here. The pressure switch comes preset at the low end of the chosen pressure range. To adjust the pressure set point insert a small hex driver in the screw located at the bottom center of the pressure switch. Tighten the set screw clockwise to adjust to a higher pressure; loosen counterclockwise to switch at a lower pressure. Place protective housing over pressure switch. The pressure switch comes without the switch cover in place. This allows for easy adjustment of the set screw. Put the switch cover on before use. See the video on our website here for assistance placing the switch cover. 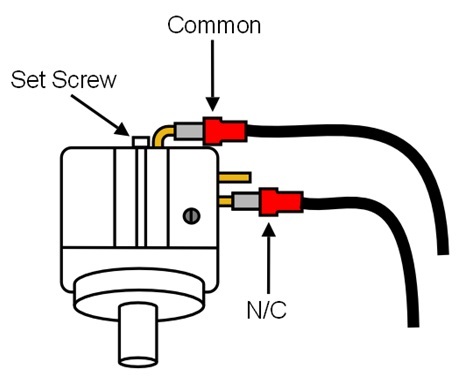 If the wire connections come off during the process, reconnect them following the diagram below. The below diagram depicts a common solution many seek to setup. 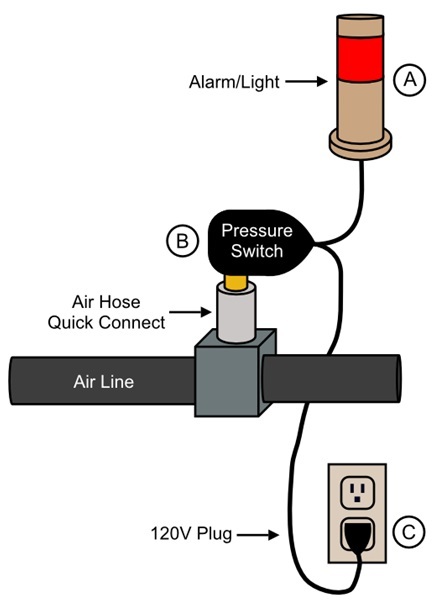 It lays out connecting a pressure switch to line pressure in a factory, then mounting a stack light, and finally plugging it into an outlet so that people are notified as soon as line pressure is lost.